Dynamic pricing allows you to set the price per task depending on the skill of the performer. For better work, the performer can get more money. To increase the performer's motivation, make the skill public. The performer will see the full list of prices and their level. 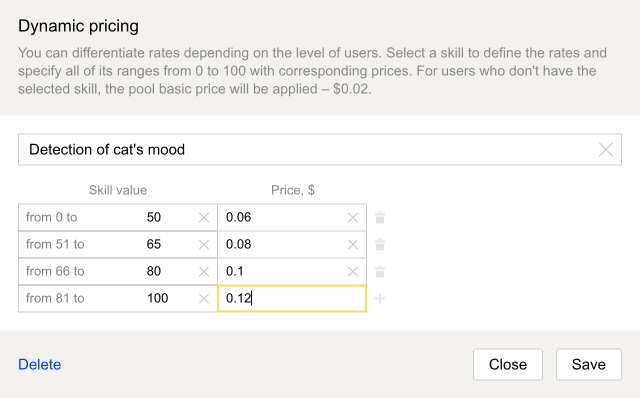 In the Price section on the task page, click the + Dynamic pricing button. Choose a skill in the window that opens. Set all ranges from 0 to 100 and define a price for each of them.